Sepsis Awareness Month is here! Sepsis Alliance is happy to share its September newsletter. This monthly newsletter gives you a small taste of what is happening at Sepsis Alliance. 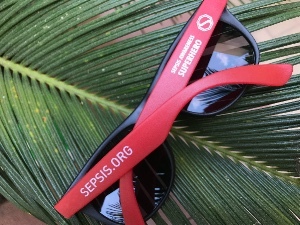 Keep reading to learn how you can get involved in Sepsis Awareness Month, upcoming webinars and events. Sepsis Awareness Month – Get Involved! In 2011, Sepsis Alliance designated September as Sepsis Awareness Month (SAM). 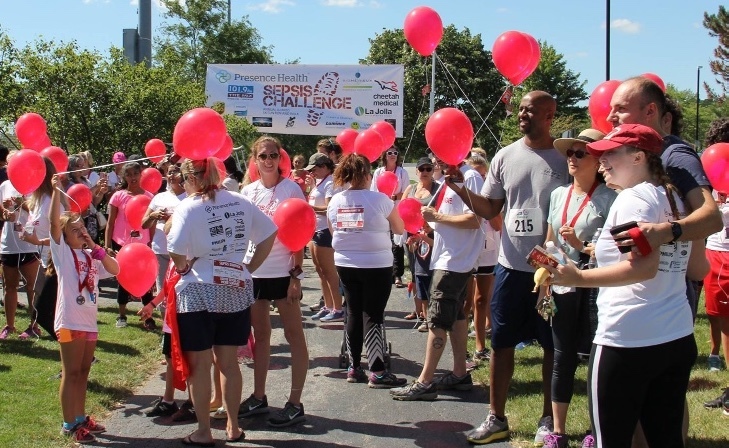 Every year since, we’ve been joined by volunteers, everyday people, community leaders, and healthcare professionals to shine a spotlight on sepsis in September and save lives. Today, will you join us? Visit SepsisAwarenessMonth.org to learn how you can get involved. 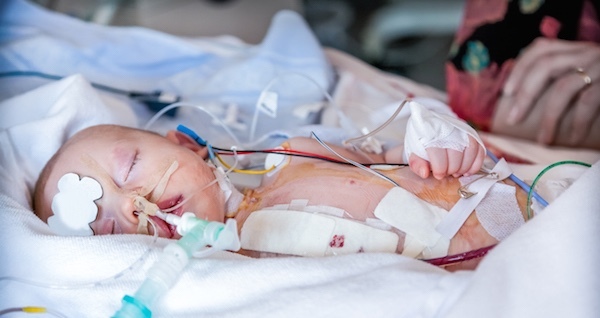 Presented in partnership with Children’s Hospital Association, join us to hear three perspectives on the clinical presentation, assessment and treatment of pediatric sepsis. The ability to recognize variances in the clinical presentation of sepsis between children and adults is critical to improving outcomes. Dr. Scott Weiss, from the Children’s Hospital of Philadelphia, will lead the audience in reviewing these variances and identifying differences in sepsis pathophysiology and outcomes between the two populations. He will be joined by Dr. Leslie Dervan and Elaine Beardsley, MN ACCNS-P CPEN, from Seattle Children’s Hospital. Help save lives this September 29th. 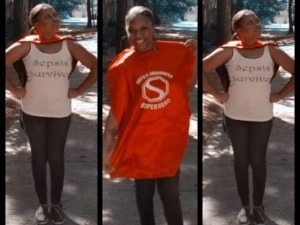 Have you committed to the Sepsis Awareness Superhero Challenge? 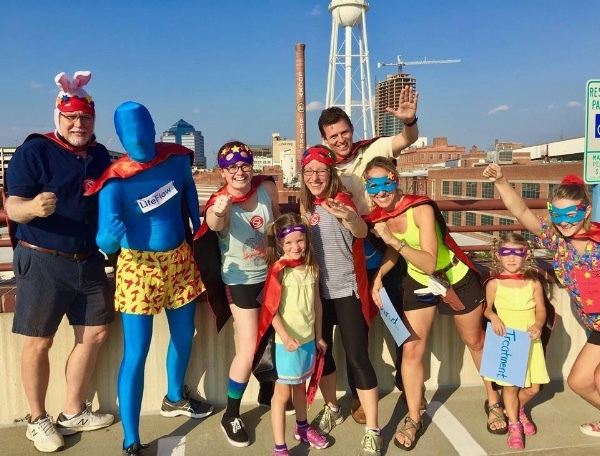 All you have to do is call on your superhero squad and commit to completing a mile by running, biking, swimming, or by doing any activity that inspires you on or around September 29th. 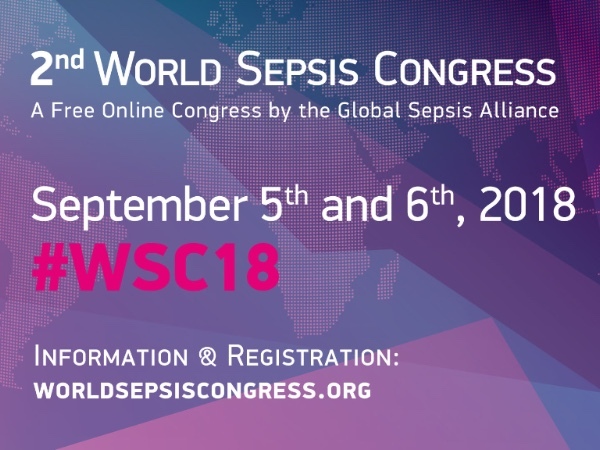 Join the Global Sepsis Alliance for the 2nd World Sepsis Congress (WSC), a free online congress in which over 100 renowned experts from all around the world will give presentations on all aspects of sepsis. The congress will be held in English and is open to anyone with an internet connection. Join us on September 13, 2018, in NYC for our 7th Annual Sepsis Heroes gala to honor the 2018 Sepsis Heroes. The gala will feature two powerhouse performances by rising star and sepsis survivor Angelica Hale. Broadway star Matt Friedman will accompany her on the piano. 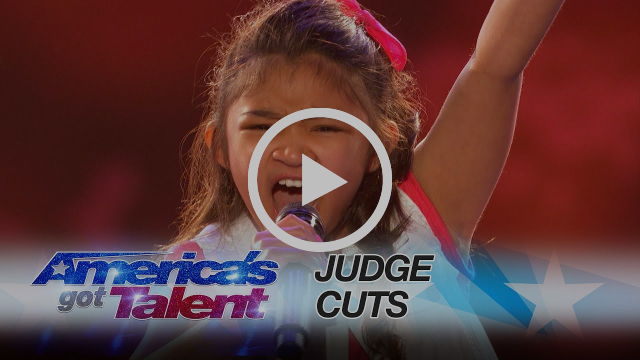 Angelica Hale’s powerful performance on America’s Got Talent! If you can’t make it to the gala, you’ll still have an opportunity to give. For the first-time ever, this year we are launching a text to give campaign for Sepsis Heroes. More details to come. On August 11, 2018, joined by sepsis survivors, advocates, and first responders, Sepsis Alliance launched Sepsis: First Response at the Southern Marin Fire Station in Mill Valley, CA. Sepsis: First Response is a 15-minute educational video and 60-minute training module that provides Emergency Medical Service (EMS) personnel and all emergency response personnel with the tools to rapidly identify and begin treating sepsis cases in the field. Thanks to Governor John Hickenlooper for declaring September as Sepsis Awareness Month in Colorado. Partners like Colorado Hospital Association helped make this possible. To read the proclamation click here. 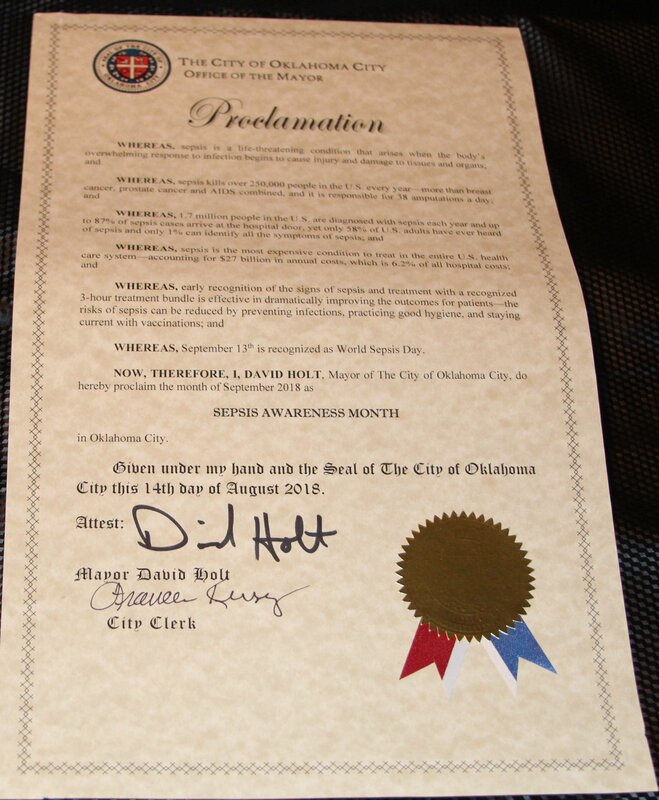 Due to the advocacy of Sue and Jay Stull, Mayor David Holt proclaimed September as Sepsis Awareness Month in Oklahoma City. To see the proclamation click here.